unique hand made stillborn baby clothes for upcoming burial service. 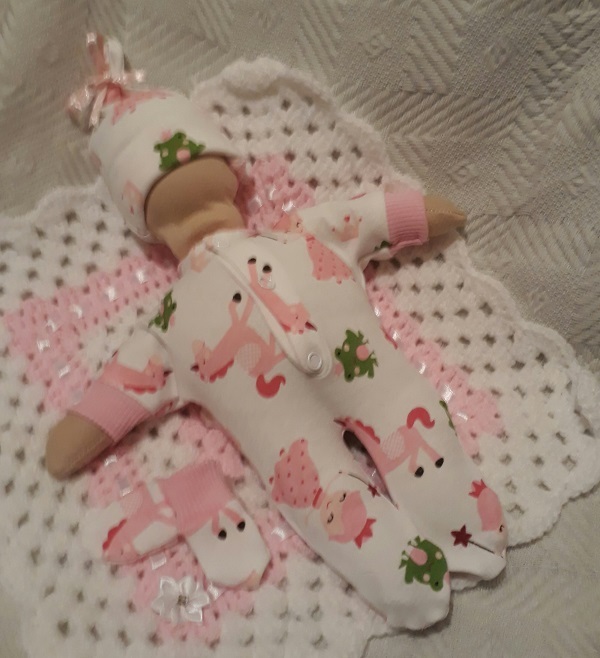 just added stillborn baby clothes for baby born at only 24 weeks fairies unicorn and froggie print finished off with pastel pink trims oh so cute, she will feel ever so comfortable and warm enough wearing her own set clothes . A complete burial outfit to dress your baby girl from top to toes, in very tiny sizes hand made in uk by Something precious TM click the order button just below to order this style.